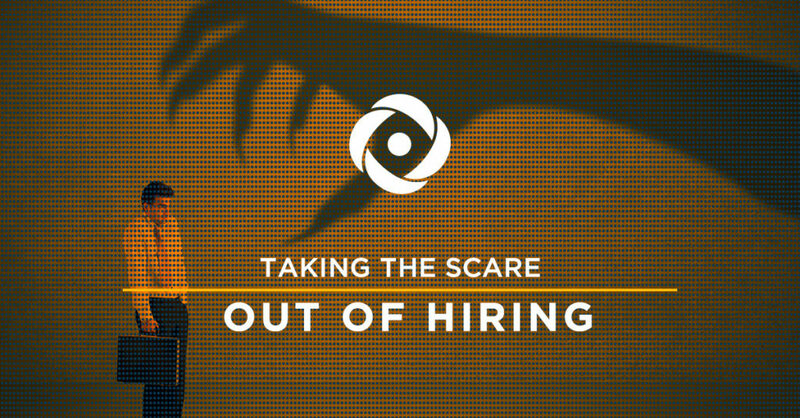 5 Steps That Take The Scare Out Of Hiring - Acara Solutions, Inc. If we do nothing else, this one thing should not be sidestepped: all stakeholders (what an appropriate term for Halloween!) involved with sourcing, interviewing, hiring, and ultimately managing the resource should sit down to discuss the role. Miscommunication is a monster of its own, sucking the life out of even those most well-intentioned recruiting campaigns. Urgency diminishes. Expectations change. Candidates become disenfranchised. Productivity—like a child receiving a toothbrush at a trick-or-treat stop—suffers. What output from this role will be critical to our business success? If this is a backfill, what characteristics from the last employee would we like to improve or remove?—cultural fit matters! What are the must-haves, nice-to-haves, and deal breakers? What should we pay the resource based on the market? This is where we need to be honest with ourselves. Many organizations have gaps between internal vs. external perceptions. If you are not the next Uber or Facebook that pays above market and holds ping pong tournaments in your lobby, that’s okay. Make sure you have a great handle on what makes your company great, and then share that during the recruiting process. We don’t want to surprise candidates with bat-to-vampire transformations after hiring. That only increases turnover. How do we strengthen our value propositions? Consider the classics: base pay, commissions, paid time off, flexible work schedules, etc.—what mix makes sense for this position? How is the work meaningful to the company and how can the right resource really OWN his career journey with your company? Are there training opportunities, and team-building activities? What’s the team culture like? What is the corporate culture like? Now that your team agrees on the needs and you know what you have to offer your new hire, develop a strategy for finding, screening, and engaging the right candidates! Consider all of the technologies you have available to you. These may include social media outreach and advertising. Always consider where your target candidates spend most of their time and put that knowledge to use! After all, to catch the right fly, a spider must know how to build his web. What companies hire for the same type of candidate and can I target them? What schools offer related programs or degrees? Do I have appropriate screening questions ready to go that will help weed out those who do not meet the real hiring need? Have I considered the STAR behavioral interview? Do we have skills tests in place? Hopefully, though, by getting on the same page with all stakeholders, validating the company/employee value proposition, and employing a well-honed recruiting strategy, we’ve refined our screening process and delivered the right candidate. Hiring is not a scary thing when you have a plan in place and came prepared. You’ve done all the right things. You’ve sped the process by scheduling multiple interviews on single days. Testing provided quantitative results on technical aptitudes. Prudent interview questions shed light on value and culture matches. Now, coach decision-makers toward the right decision. That is a huge part of our success as recruiters. Arm the decision-makers with all of the information they need based on the previous process steps, and urge them—constructively—to make a selection based not on candidate comparisons, but on confidence that the candidate can and will do the job. Finally, now that a candidate selection has been made, how do you integrate this employee into your organization and position them for success? By planning, of course. Joining an organization is scary-stressful for anyone and you can help build your company’s value proposition by easing the process! Who is responsible for greeting the person the first day? Is their desk and hardware ready to go? Who is taking them to lunch during the first week to help build rapport and comradery? How will expectations be communicated for the first 30, 60, and 90 days? Changing requirements from candidate-to-candidate or search-to-search. Forgetting about the candidate experience. With the exception of Beetlejuice, great talent doesn’t appear simply by calling out for it three times. You’ll need to work hard to align the right resources and keep productivity alive. You’ll need to evaluate the real hiring need. You’ll need to echo your company’s employee value proposition. Aligning a thoughtful recruiting strategy will be vital. Doing all of this will help to reign in decision-making times. And, finally, streamlined onboarding will close the loop.